Is the washing machine not starting? Get in touch with our local washing machine technician in Oshawa irrespective of the washer problems. We fix top load and front load units but also combo appliances. Our experts address emergency problems the same day you call and always go the extra mile to cover washer repair requests in a timely fashion. Since we are experts in these laundry appliances, we can also install and tune them up. So, don’t hesitate to contact Appliance Repair Oshawa if you need experts for any job. Which services our washing machine technician provides? 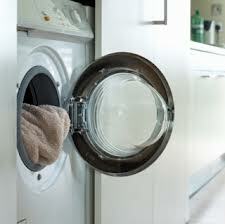 Call us for washing machine repair in Oshawa, Ontario. We do our best to arrive to your house as quickly as possible. And you can rest assured that our tech will have all the necessary tools but also appliance parts with him. In order to fix the appliance right, we first troubleshoot and diagnose its problems. Then, we let you know of what must be done and carry out the necessary washer service. Count on our maintenance service. It’s vital to check the appliance from time to time to be sure of its good performance. This depends on its parts and their condition. So, when we service washers, we inspect each one of their components and take excellent care of the appliance to prolong its lifespan. You can also call our company if you need washer installation. You can trust our focused techs to pay attention to the new washing machine’s specs and do the job by the book. We install the new washer properly and make sure it runs properly. Why choose to work with our washing machine repair technicians? We have the experience to troubleshoot and fix washers. Our washing machine technician will always come to your place fully equipped with the best repair parts and equipment. 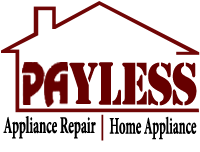 With us, there are no delays or costly repairs. We offer affordable services promptly. And our company can cover all service needs. From repairs to installations and everything in between, you can count on the expertise and skills of our Oshawa washing machine technician. Do you have questions? Need service as soon as possible? Contact our company today and let us repair your washing machine.